I’m not much of a Royalist, but I went to the Royal Academy Schools at a time when Sarah Armstrong-Jones began attending and I took pride in studying there. I guess anyone who wants an entrance through ‘the famous blue door’ must care about gaining the Royal seal of approval. Happy 70th birthday to HRH Prince Charles! What exactly can ‘approval of the Royal Coat of Arms’ mean in the Arts? David Jones (aka David Bowie) wisely refused himself a knighthood, arguing it wouldn’t combine well with his rock heritage. He was right. However, something more conservative and mainstream like opera might bear the kudos better. Emma Thompson was made a Dame recently, though she naughtily (for a privately educated gal), wore white plimsolls to the event, ‘defying convention’. The significance of the Royal Coat of Arms can be better gauged from condiments. Lea and Perrins, McIlhenny’s Tabasco, HP Sauce – no kitchen worth it’s salt (and Maldon Sea Salt), would be without them. But when it comes to Art students – again, what does it mean? Anyone who seeks approval from the establishment in a field where this tends to be shunned – is erm, a bit disoriented. At one point, Terry Frost said applicants to the RCA who had an A level in art should be refused entry. Then there was the smashing of the casts. 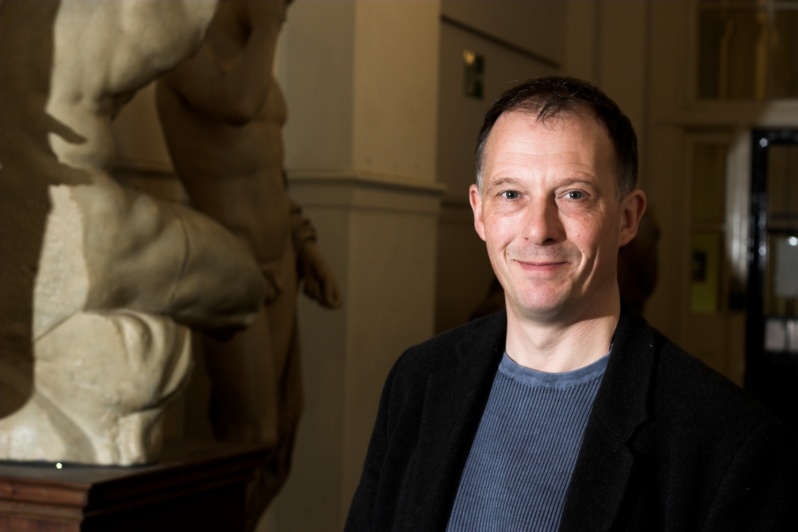 After the Second World War it became policy throughout British Art schools to do away with casts made from antiquity, in an attempt to rid Art of convention. Prior to this, it was necessary for students to draw from casts before drawing from life. The Royal Academy Schools (and Great Yarmouth College of Art and Design) were two exceptions; they kept some/all of their casts. The corridor at the Schools gains nearly all it’s charm and atmosphere from being lined with the likes of the Venus de Milo, Myron’s Discobolos, River Gods and the Laocoon etc. In fact, drawing from them wasn’t such a bad thing to do. Naturally, I did it volte face – well after I’d spent time in the life school. Apparently HRH Prince Charles is an advocate of Classical convention. Good for him but his influence over vernacular British architecture – well, Enid Blyton would be pleased! So would Noddy of course ….. and everyone else in Toytown. Still, at least HRH Prince Charles is a champion of good, old-fashioned drawing. The Prince’s Drawing School in London is a reflection of this. Students at the Academy Schools had the dubious privilege of dealing with thousands of rejects submitted for various Summer exhibitions. In the vaults under the Royal Academy we would rack and stack paintings from all over the country. A debbish young man called Feehan, doggedly replaced his own rejected painting each day, after it regularly turned up in the vaults – to no avail. On one occasion we were asked to return a small watercolour of a landscape by a ‘Mr. 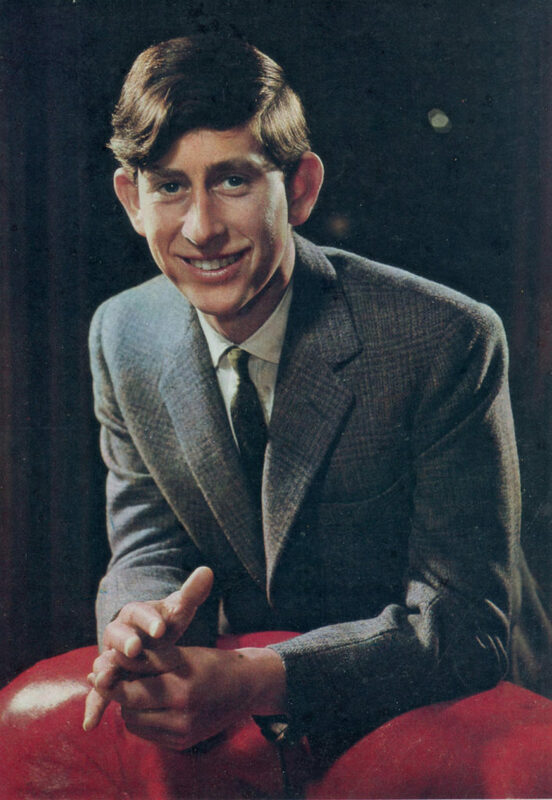 Brown’ this did however, make it past the judges …..
Photo of HRH Prince Charles from ‘London Life’, November 1966.